One of the most popular operas of all time, Giacomo Puccini’s Madama Butterfly is near the top of the list of operas performed by Opera Idaho in its 44-year history with five productions. Last performed in 2011 at The Egyptian Theatre, this production returns to The Morrison Center. 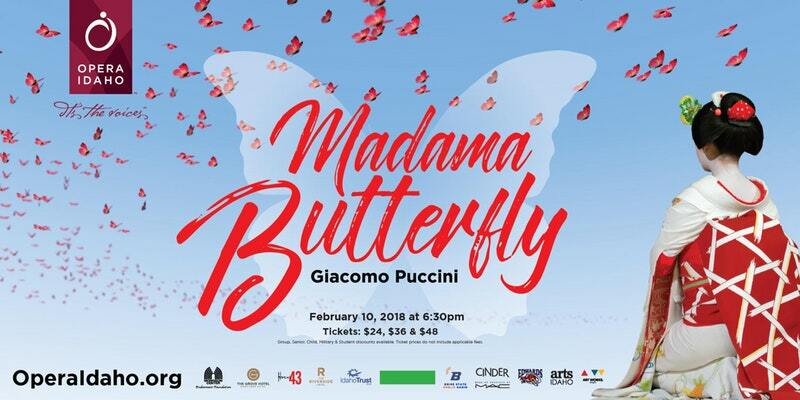 Madama Butterfly tells the story Cio-Cio-San, the trusting and innocent young geisha of the title, who disastrously falls in love with American Navy lieutenant B. F. Pinkerton, only to be abandoned by him. Her loyal servant Suzuki and Sharpless, the sympathetic American consul, do all they can but are unable to avert tragedy. Dean Williamson (most recently Il barbiere di Siviglia, 2015) returns to conduct.